[Tobey, Mark.] Glover/Hayes. Books from the estate of Mark Tobey. Seattle: 1982. 4to, 12 pp. 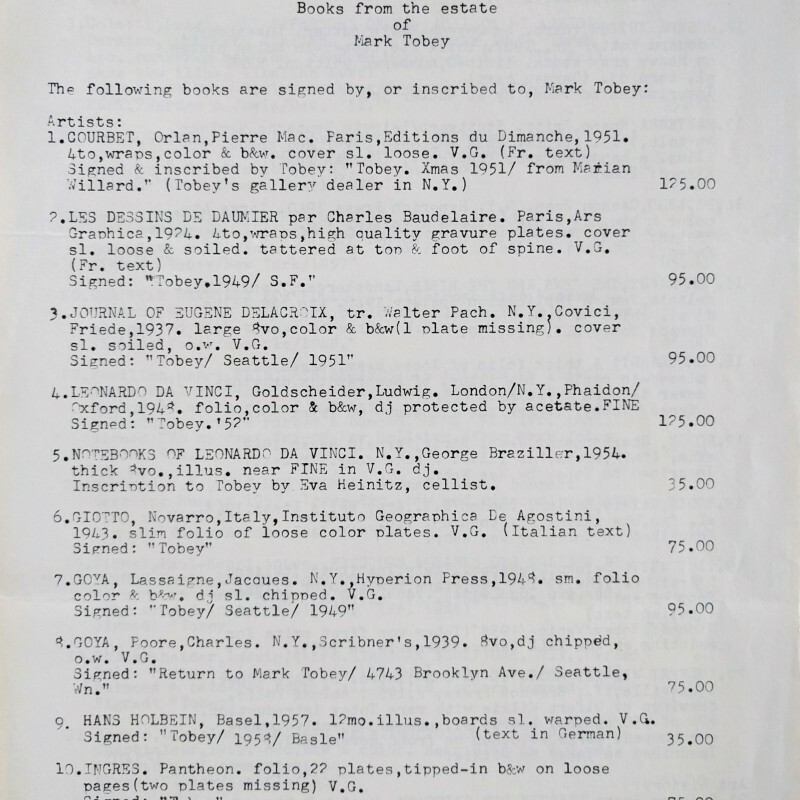 ; stapled mimeographed sales list of 143 books “signed by, or inscribed to, Mark Tobey,” dated in pen, minor creases from folds, good condition. 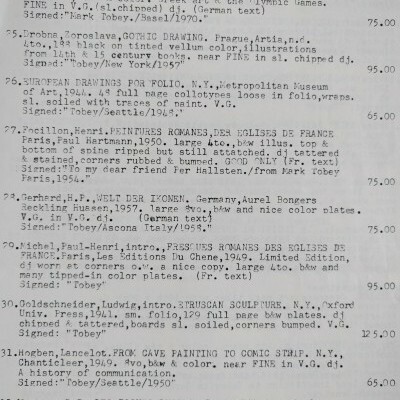 We can find no other record of this sale of books from the American abstract painter’s estate. The annotated list describes signatures and inscriptions.